At the moment I am looking for a new living space. This means looking at a lot of posts in Craigslist, Zillow, ApartmentSearch, PadMapper, etc. This goes for both places that I would rent on my own and for roommate situations. My frustration comes from landlords playing fast and loose with the wordings they use in their posts, specially when they don’t bother to put in an address for the place or even the cross-streets. 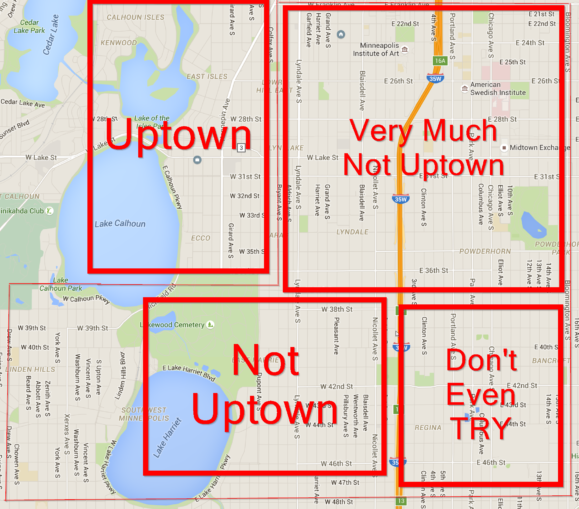 They usually use phrases like “close to Uptown” or “in the Uptown area” to hide the true location of the place. 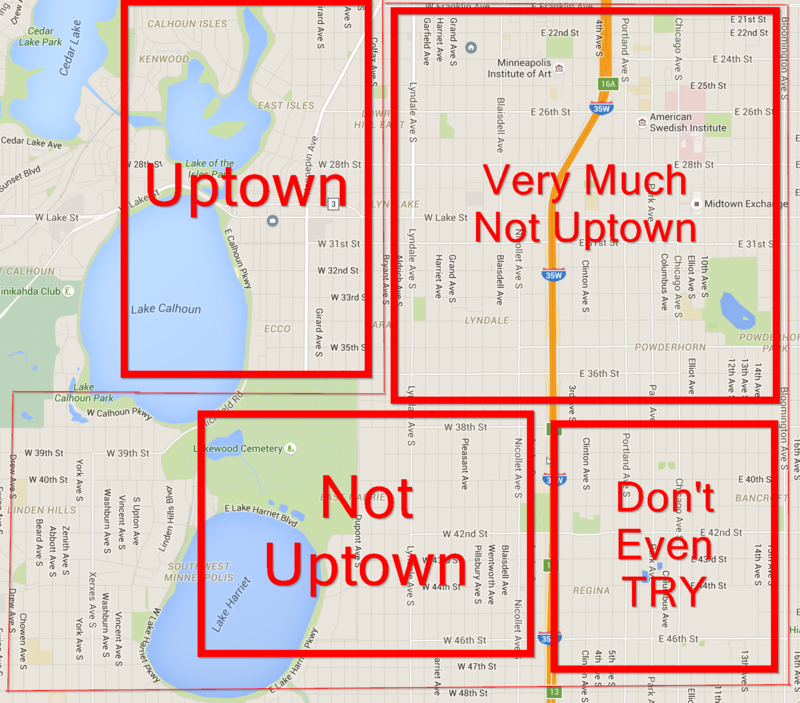 If you drive a car for everything sure, anywhere in Minneapolis or Saint Louis Park is “close” to Uptown. But the nature of the neighborhood is to be able to walk from home to a place and back. You can’t say it’s close when you’d have to walk 30 minutes to get to one of the neighborhood’s borders. Neighborhoods have borders and names for a reason. 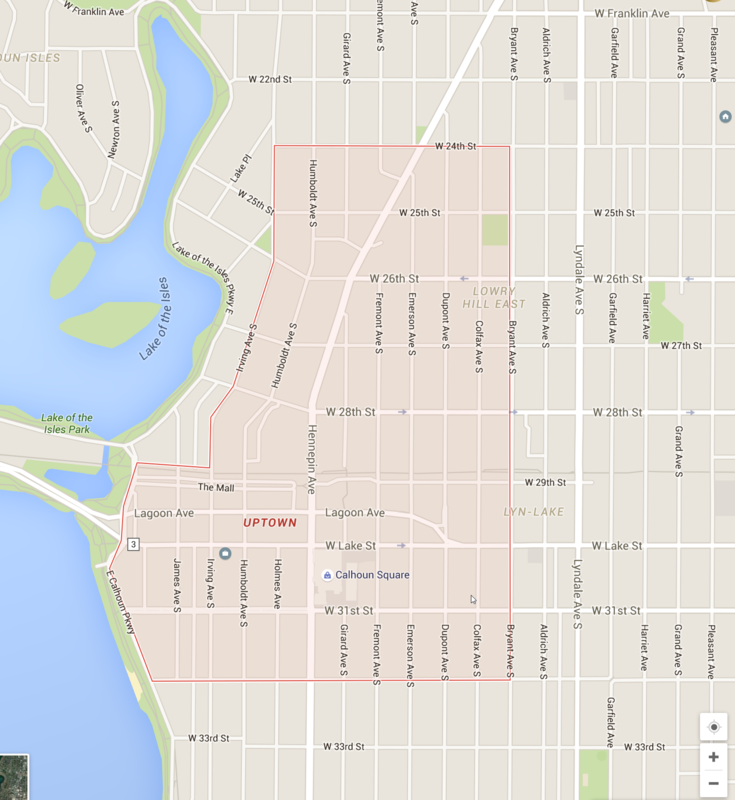 So… landlords, please save everyone a lot of work and just put in the address of your property.